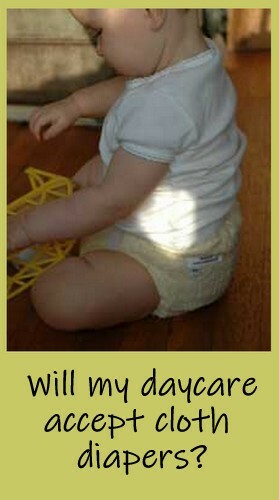 Will my daycare accept cloth diapers? The only way to know for sure is to ask them! If you’re using a daycare center, they might try to tell you that state law prohibits cloth diapers in the center, and they might actually believe this, too. However, at least in Iowa, there is NO law against using cloth diapers in a daycare or group care setting. Many customers have found that chatting with their daycare provider in advance and showing them how easy it is to use cloth diapers has helped to change a reluctant care provider’s mind. You also increase your chances of having success by choosing a diaper system that makes it easy for the daycare. Prestuffed pockets or all in ones are perfect for this situation. Next Next post: How do I nurse in a carrier?